Of course, your Rubbish Bin can be used for rubbish, but why stop there? You can create your own recycle center using a series of Rubbish Bins—one for plastics, one for aluminum cans, one for soda cans, and one for newspaper and recycled paper. Fill your Rubbish Bin with shred, and utilize it as a gift basket! Store your wrapping paper rolls upright in the Rubbish Bin, and get a second one for your holiday wrap! Your creativity is the limit for the many uses of the Restoring Order® Rubbish Bin. Our Rubbish Bin is an open rectangular bin that captures anything you can dish out. 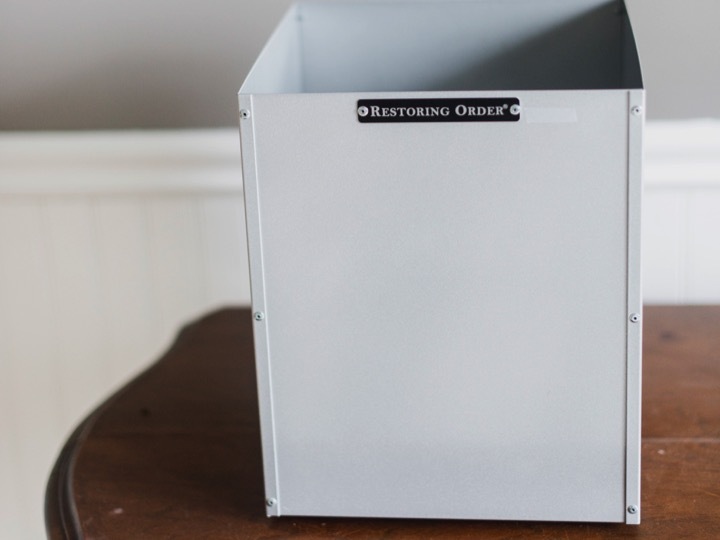 The Restoring Order® Rubbish Bin is a sophisticated alternative to the molded plastic garbage cans that tend to degrade professional office settings. 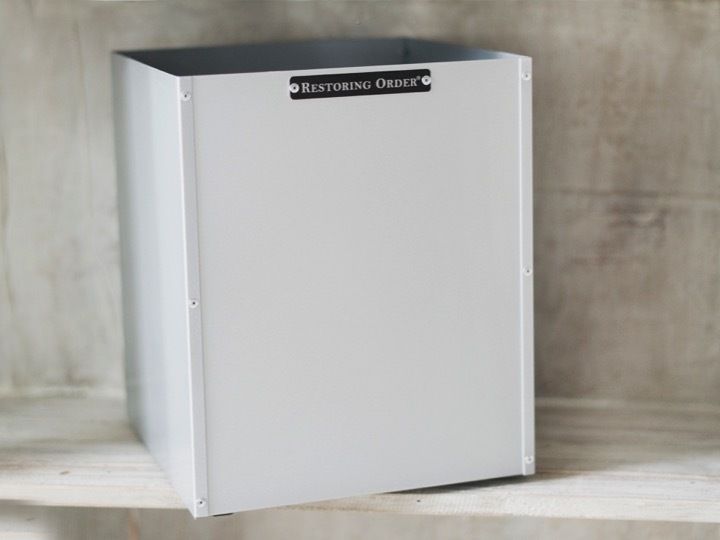 Made of lightweight, powder-coated aluminum, and assembled with folded edges and rivets, this sturdy bin lends urban appeal to office or residential environments.